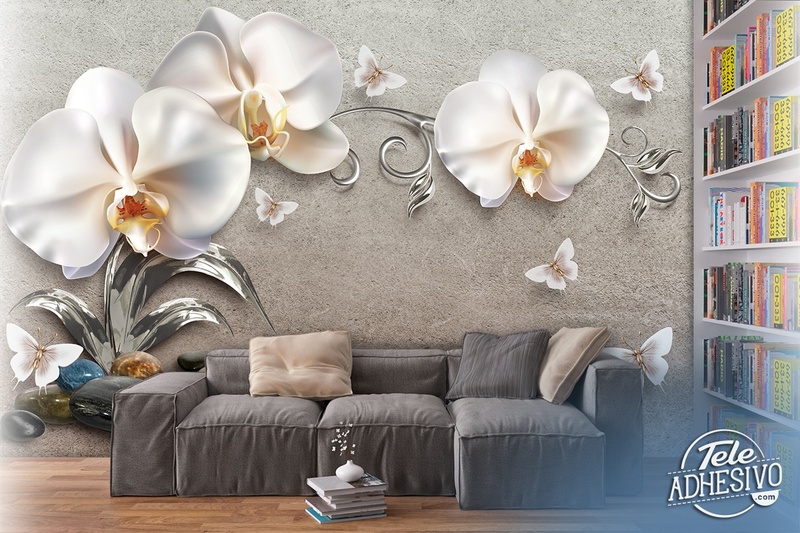 Wall mural White Orchids. Pleasant composition of sanded texture with several orchids arising from a group of health stone. 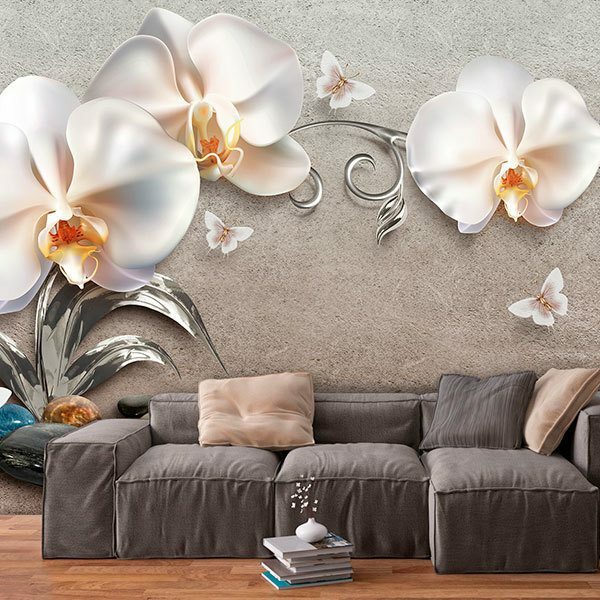 There are also several butterflies and the branches and leaves of the orchids are silver metal. 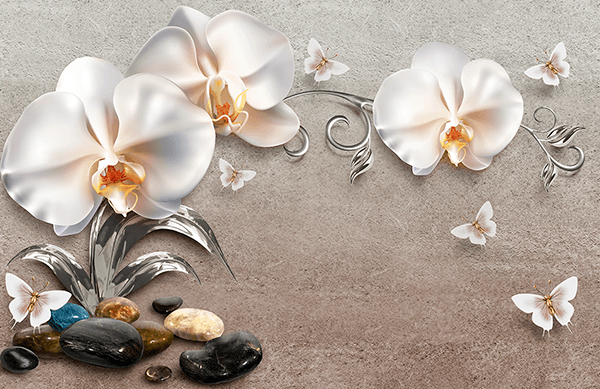 A fantastic image for a beauty or wellness centre.